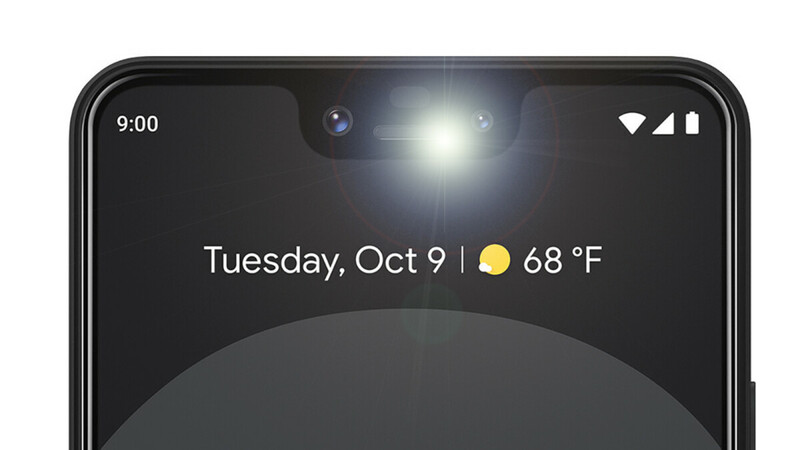 It would seem that the new Google Pixel 3 and Pixel 3 XL don't sport LED notification lights, a staple of almost all Android devices for nearly a decade, despite having more than enough real estate in that eyesore of a notch up front. This could easily be regarded as yet another anti-consumer trend that Google advocated with its controversial new devices. Yes, some may argue that the Always-On Display could easily replace this useful feature, but that wouldn't necessarily be the case for an enormous trove of Android users - you can't really make out a specific notification from afar, whereas with an RGB LED notification light you can quickly see what notifications might be pending at a glance. Additionally, LED notification lights take a much lighter toll on your battery in the long run compared with an always-enabled portion of your OLED display. This is yet another notable omission on the Pixel 3 and Pixel 3 XL, which are already riling up controversy with the odd hardware choices Google made: first of all, only 4GB of RAM in a day and age where many mid-rangers boast 6GB of the stuff, then an excessively deep and unsightly notch on the larger Pixel 3 XL, and finally, a frosted glass back that's reportedly extremely susceptible to scratches and scuffs. Now, with the discovery that the new Pixels have no notification lights, Google opens up Pandora's box for other Android manufacturers to remove the undoubtedly-useful feature at their heartfelt content. With the recent trends of employing extremely dim or single-light LED notification lights (looking at you, Xiaomi), it would seem that the good ol' notification light could sadly go the way of the dodo, similarly to removable smartphone batteries, headphone jacks, mainstream expandable storage support, and meaningful innovation itself. Pathetic at this point. Makes the notch huge, doesn't even use the allotted space... If it weren't for the notch I'd definitely buy this. also, I've never seen any article whining about the absence of fast charger and 3.5mm adater in a $2000 phone. I actually just confirmed with a Google Pixel 3 Support agent via google chat that there is a notification light. Did you figure out how to use the notification light? There's the regular Pixel 3 w/o the notch. The notification light is one feature I value from the Samsung phones I have been used. I believe most of smart phones don'T have it either. I really hope tech reviewers don't force the idea that the Pixel is the best phone again. The Note 9 is the closest to a no compromise out there. the notification light is so convenient ... my AOD is on dim and it's easy to see what color the notification is that comes in... also sometimes the way i'm laying in bed or the way the phone is i can really seen the screen or i just see the corner of the screen... this is a stupid omission. Same here. You don't need them when you have AOD. I remember on my Xperia Z1 it would light up in different colors. Green for Whatsapp messages, red for Gmail, white for text messages or other other apps, blue for missed calls. It was nice back then when there were no such things as Always on Display and the sort. Since that came along I honestly haven't missed the notification LED one bit. Probably the only thing people excited about is the camera. Pixel 3 literally took all the 'common' feature like 3 navigation buttons, Notification light, headphone jack, expandable storage, etc. There's always a deal breaker. Screen, Larger than normal notch. is it a 1 or a 2 year warranty? That notch is literally bigger than just having a top bezel, nowadays. So was it done just for kicks? Just to join the notch parade? Google thinks people like notches? They took from us hardware keys/shortcuts, removable batteries, rugged bodies, headphone jacks, notification LEDs. Their manufacturing process is getting cheaper every year, and as a result of simple design - less warranty claims. Yet prices keep going up. Don't be sheeple, don't take off your pants unless you are forced to. Vote with your wallet!!! I just spoke with a Google supervisor after reading this article and he claims it 100% DOES have a notification light and personally relies on it on his Pixel 3 XL device. He also said (unrelated) that the setting to "hide the notch" so to speak will be available at launch but will be in the developer settings - not under display settings. Hope this helps! Did you determine how to find the LED? The ugly notch piercing your eyes. And stupid excuses like "It is tall because of the two front cameras" are so dumb and non sense. Look at Huawei Mate 20 Lite, another notched phone with two cameras at the front. Oh, almost forgot - what about the decision to remove the ability to use on screen navigation buttons? No way this time! You are forced to use only gesture-based navigation. Do Google slowly kills pure Android experience through its twisted Pixel ecosystem? Moto has one of the best always on displays and I didn't miss the notification led when I had my Moto z2 force. I had a Samsung A3 2017 with Always-On Display and I missed the notification LED a lot. Now I have it on my OnePlus 6 and it's just 10 times more visible and useful. I will never use a phone without notification LED ! The AOD is too dim and eats quite a bit of battery. People who think OLED only consumes power for non-black pixels are very naive, they don't realize that the display driver circuit is the one eating a lot of power on both OLED and LCD when even one pixel is lit up. The number one reason why I never thought about iPhone is that Apple promotes addiction by removing any notification means from their phones. So you have to compulsively check your phone every few minutes or so, wasting hours and hours of your valuable life. PhoneArena should point out these obvious anti-consumer flaws every week or so, and force manufacturers to keep the notification LED and other useful features like IR blasters.